In a recent report released by CareerBuilder, the top reasons for avoiding a recent grad hire are a lack of interpersonal or people skills and problem solving skills. In addition, employers also cited leadership, teamwork, written and oral communication, creative thinking, and project management as skills missing from those new members of the workforce. Add a relatively high turnover rate and the outlook for the recent grad job seeker doesn’t look so hot. Except, it is. In that same CareerBuilder report, 67% of employers said they plan to hire recent college graduates. Traditionally, employers are hesitant to hire those new to the job market, but a low unemployment rate, the high retirement rate for Baby Boomers, and our current candidate-driven job market leave companies with no choice but to tap into this candidate source. 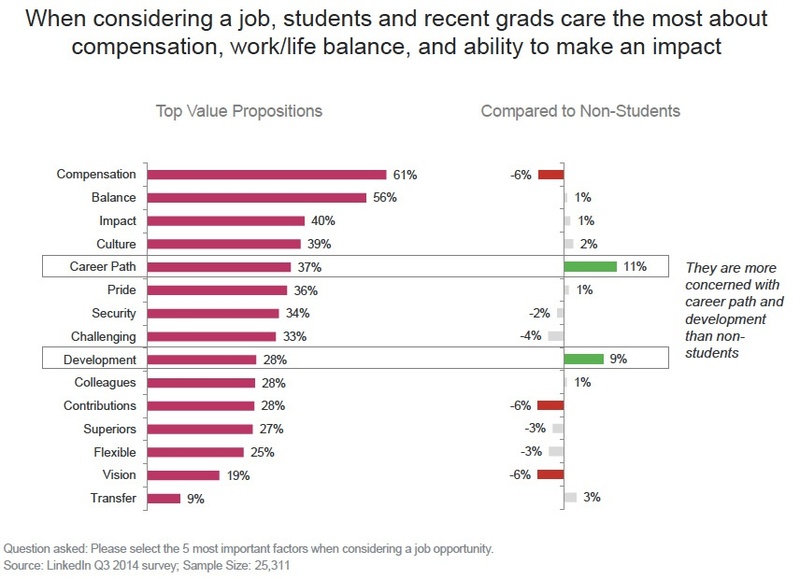 All of the factors recent grads find most important, with the exception of compensation, are aspects of a company that should be communicated effectively through a strong employer brand. Defining your employer brand and using it to help guide your recruiting strategy will ultimately help you get the right recent grad, a grad who is better aligned to your company’s goals. When an employer interviews a candidate, the focus tends to be on past results as a predictor of future success. While this is a necessary technique for experienced professionals, recent graduates just don’t have the work history to prove their potential impact to the company. Instead, employers should think of a few other characteristics that might predict success within their organization. Interviewing for integrity, respect, sense of responsibility, past teamwork, time management, and accomplishments are all strong indicators of a recent graduate’s character and will help an employer determine whether or not an applicant will be a fit for their team. For specific questions that can be adapted to interviewing recent grads download Hire Better: A Guide to Interviewing for Culture Fit. Staffing firms are a great source for first-time, recently graduated talent. Staffing firms tend to have active relationships on campuses and start to build their talent pipeline well before graduation day. 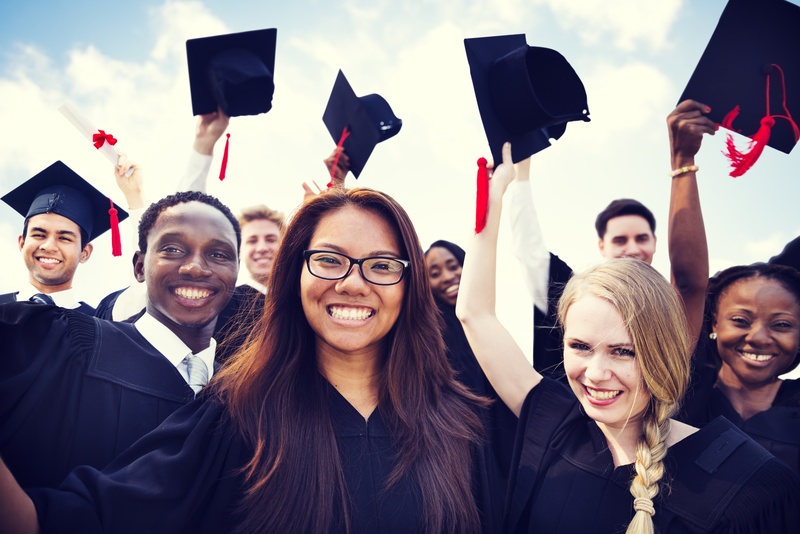 Staffing firms also provide a level of protection by screening candidates and presenting only those they feel confident will be a strong addition to your team, helping to get employers the best of the graduating class. Another way in which a staffing firm can lower the risk of hiring recent grads for companies is by being the employer of record so that both the candidate and the company can have a trial period before formalizing the work relationship, saving time and money. Any first day can be intimidating; employees are filled with anxiety, anticipation, and for many new to the workforce, apprehension. How an organization welcomes a new employee, especially a recent grad, can sour a relationship or build loyalty right on Day One. Effective onboarding begins well before that first day and might include information on the company, the employee’s new team, where to park, how to dress, and even places to grab lunch. When a new employee arrives on their first day, a lot of the uncertainty should be gone because the company has actively communicated important information. This way, the first day can be used to focus on acclimation and opportunities to socialize the new hire, allowing them to see how their role fits into the organization and giving them an accurate set of expectations. This in turn will lesson employee turnover and help develop a high level of engagement. For more on onboarding, check out this article by the Society of Human Resources Management (SHRM). The workforce is changing rapidly. Having a source of fresh new talent year after year will be necessary for companies to succeed and remain competitive.